How to make a Swallow happy! Now I’m quite pleased with this! For two reasons… Firstly I’ve created a home-made nest for our feathered friends and secondly my lighting cables (which were never installed to be photographed) look quite neat! And that’s just the birds in the photo! There were as many as 500 swallows (and for the keen eye – Martins) on the wires, in the air, tumbling and floating around us in the September sunshine. 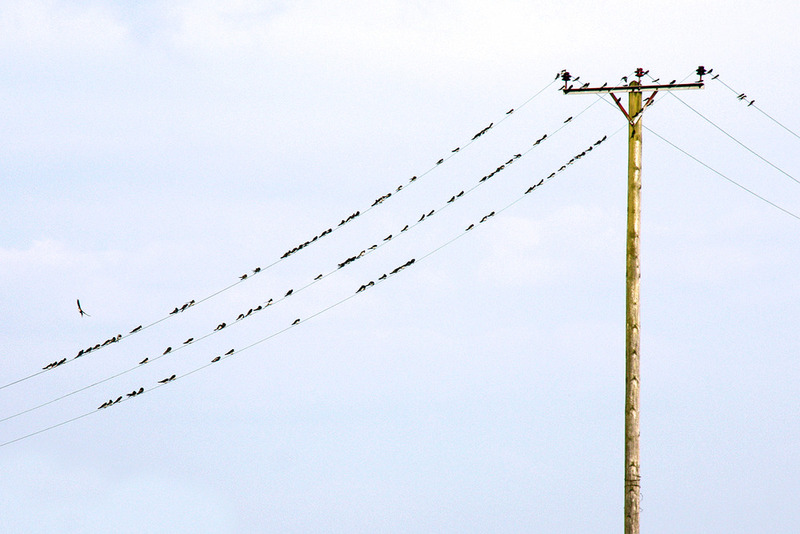 Here’s an interesting couple of photos of a group of 129 swallows sitting on some power lines (130 if you include the bird that’s about to land) getting ready for their holiday to Africa. 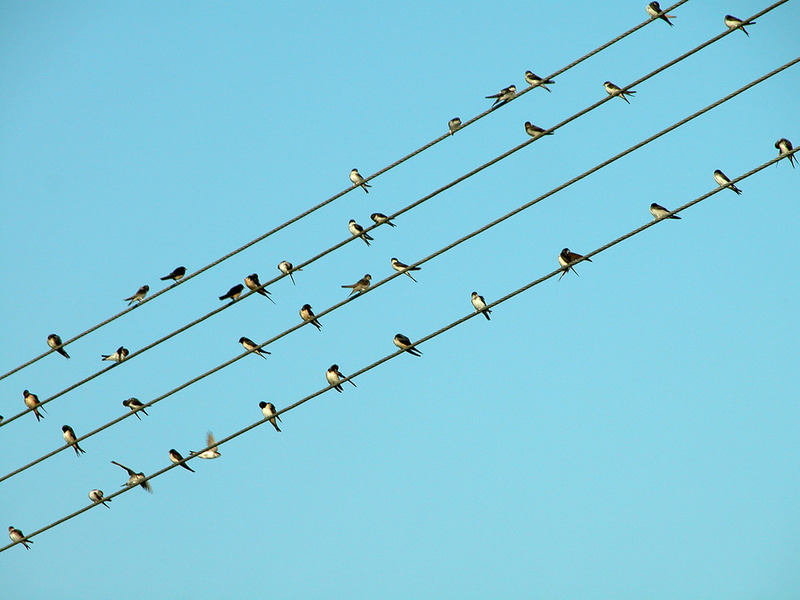 Did you know that the collective name for a group of swallows is ‘A Flight of Swallows’? Migrating swallows fly about 200 miles per day, flying a distance of around 4,000 miles to sub-Saharan wintering grounds. They’re too small to build up fat reserves before they migrate, so instead they eat on the wing as they head south. Excellent news! It’s the 6th April and we’ve just seen two swallows zooming around the stables at Treyford… According to Aristotle, summer has now officially arrived!! !